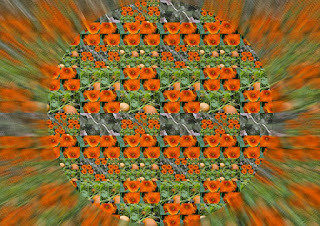 which became flower (and a pumpkin) mandalas. My favourite is the last! So beautifully coloured! 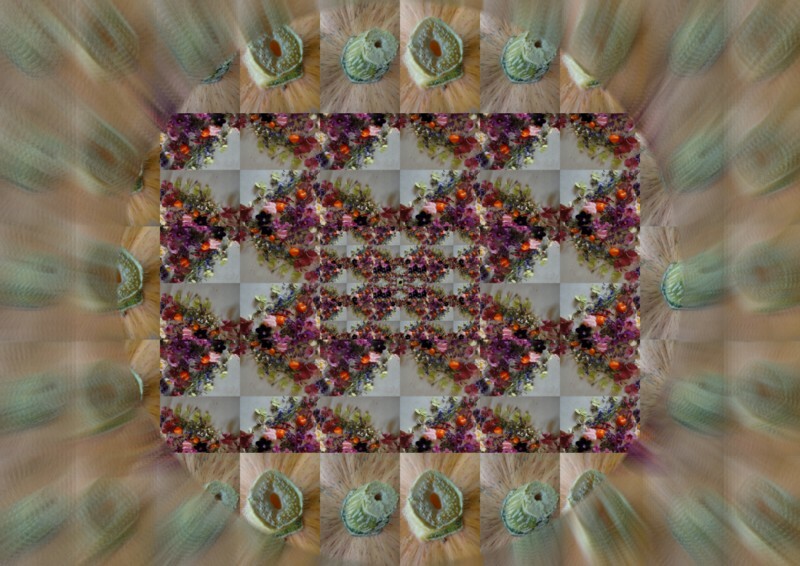 your mandalas are very psychodelic! I LOVE them! Gorgeous! In long, colourless winterdays I'll come to your place here. Stunning..fabulous..mesmerizing!! Wowness Renilde..Gorgeous and such color-magic! I have missed visiting you and your beautiful world! 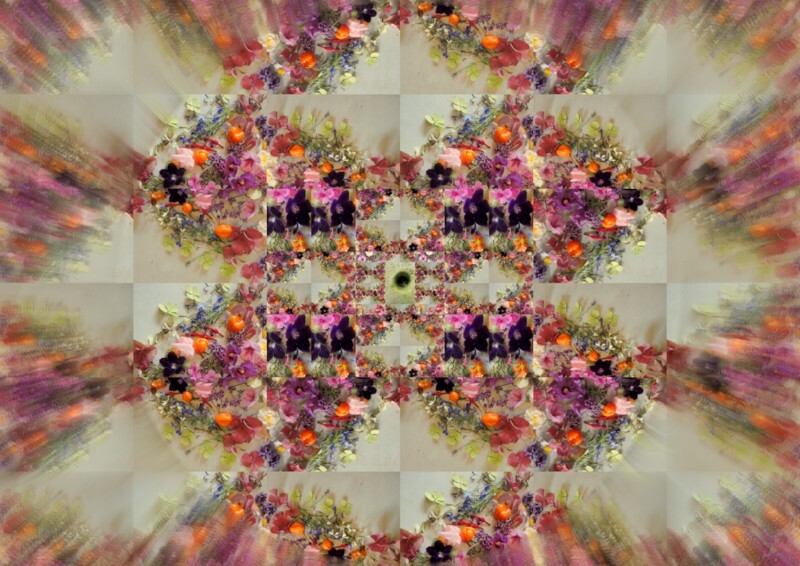 wonderful gorgeous mandalas! I love the green one and the orange with the pumpkin very much! prachtig!! HI, Renilde, almost psychedelic mandalas, or really psychedelic mandalas. They remind me of a kaleidoscope! And a nice weekend for you!!!!! what a clever idea, renilde, to go hunting for winter images. funny, we do that, af if we doubt our powerful memory to draw from. i should know, i do it. but what a lovely meditation the garden is. you play part in my little piece of greenery here, because that everlasting love-in-the-mist! i harvested more seeds in the gutter yesterday and also holly hocks seeds. will need a little advice on what to do with the seeds, and when. will e-mail you! cheers for playing, renilde! your kaleidoscopic images trigger my imagination! 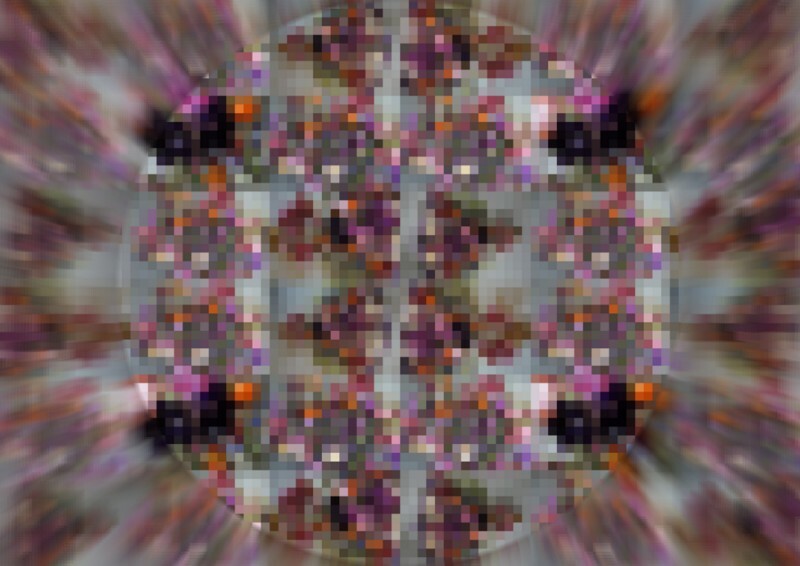 Oh I know what you mean by the fear of grey brown autum/winter days with these psychedelic kaleidoskope picture you won't feel sad ur dull at all, probably more like a spider on drugs with a paint gun, haha. I like it a lot! 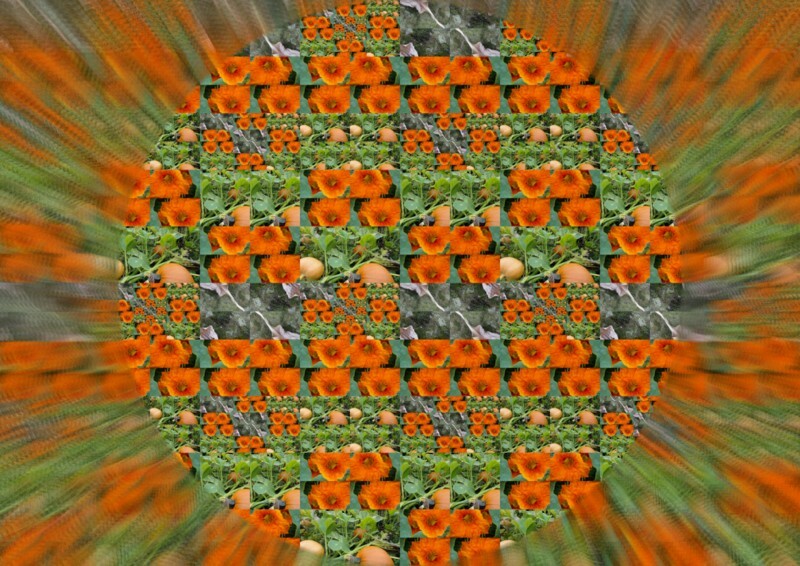 Wonderful patterns - especially the orange one! wow, that´s so interesting! And remind of childhood, very nice! Would you take part at the next challenge? I am the hostess and I hope to meet you there! 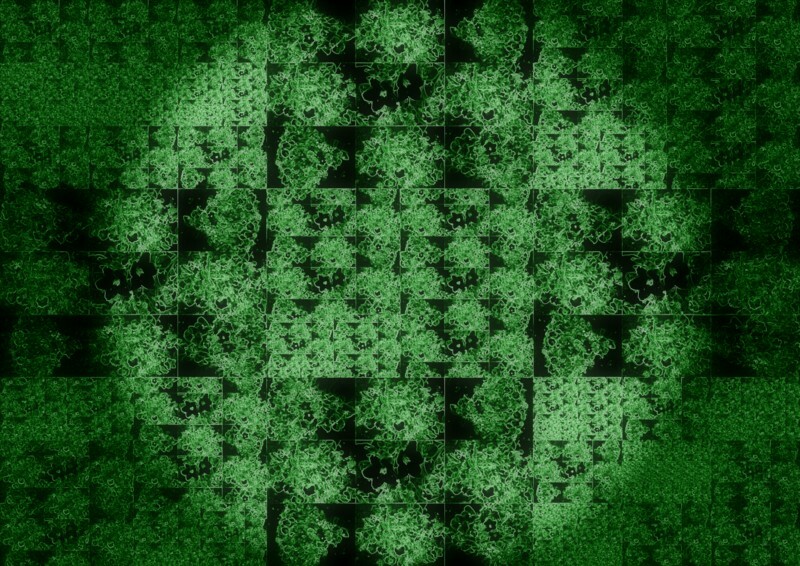 Those are very very effective Renilde, I do not know how you made them but they are lovely. Wow! How did you do this? 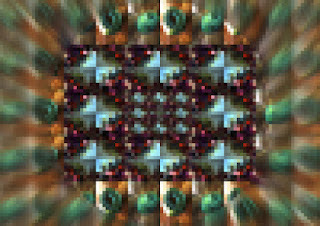 A kaleidoscope? Truly beautiful! 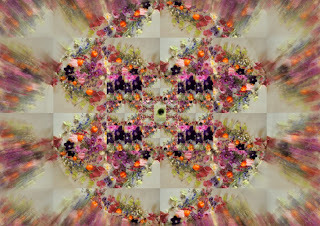 Flowers can thrill us in so many ways. It will be sad to see them fade for the winter. 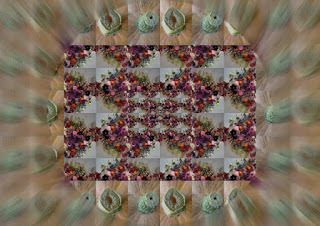 renilde excellent mandala photos I like them a lot!